RAAWART CONFRONTS LUXURY, ARTS AND DESIGN AT THE LEGENDARY CLASSIC CAR CLUB AMONG THE CARS OF JAMES BOND AND JAMES DEAN. In the current context of declassification, of explosion of boundaries and global reinvention of all the systems, social, financial, and cultural, RAAWART took on to bring up this question through the selection of key artists and designers. Alexis Gremmel brought and curated in one big space various elements of Arts, Sculpture, Fashion, Automobile and Photography. The show featured the fashion designer Edward Roth and artworks by Caroline Bergonzi, Amber Arbucci, Martin Saar, Yasmine Arman, Charlie Green and Jennifer Massaux. 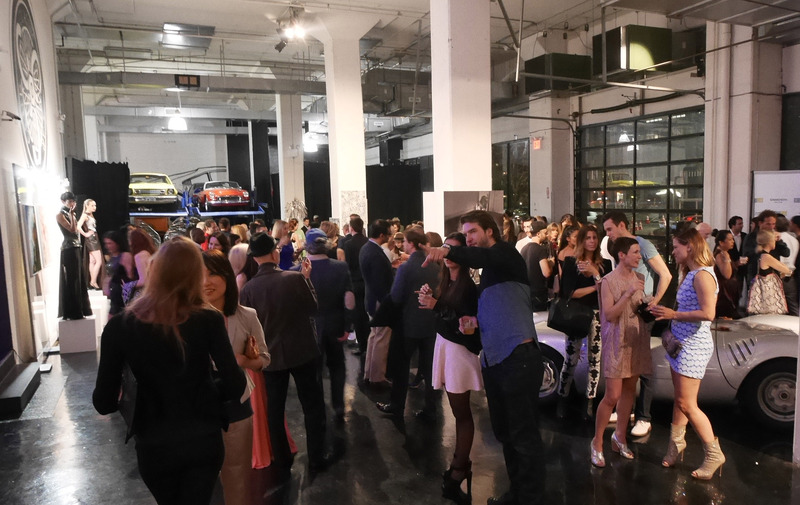 It took place in Tribeca at the Classic Car Club which is a 5500 square feet space with a 20 foot high ceiling,last Saturday, May 10th, from 6 to 11pm. On invitation only, the event was for a very select crowd of creative professionals, art experts and collectors. Among the guests, we saw Amber Arbucci (Supermodel/Photographer), Nouriel Roubini (Economist),, Owen Barder (Economist), Jean Kemanjian (designer), Olivier French (Creative director at viral cinema studio), Valerie Melchior Bruell (Counsellor at Monaco Mission to UN) . In spite of the competition of the many other art events happening during the Frieze art show weekend, the space was full for the five hours. On a parallel note, attended three Monegasque citizen of the Principality. Caroline Bergonzi, artist from Monaco was selected by Alexis Gremmel for the unique character of her art. Valerie Bruell-Melchior, second in charge at the Monaco Mission of the United Nations, came to support her childhood friend. And Jerome Solamito, who recently opened his restaurant, brought delightful cocktails and hors d’oeuvres. Coincidence? Cult of the automobile? Bergonzi sculpts metal to remember her father (his hobby for cars), the restaurant is called Chicane in reference to the famous turn of the Formula one circuit, and this exhibition took place the same weekend as the Historical Grand Prix of Monaco. RAAWART’s goal is to introduce new talent to the art market by developing innovative art shows. This was the third show of Alexis Gremmel, its young, new and ambitious director. 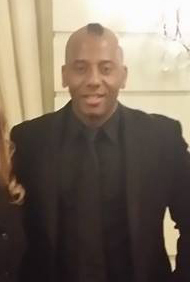 Originally from Paris, the self taught entrepreneur and model (in New York since 2010), was appointed to run the art business by Caroline Aim, on the strength of his well known eye for artistic talent as well as his deep understanding of the creative mind and his contacts between Paris and New York, of the contemporary Art world. With an open and international perspective, RAAWART has, to date, produced shows in New York, Paris, Saint Tropez, Tel Aviv and London. Site: www.raawart.com. Caroline Bergonzi is remarkable in several ways. Monegasque, she grew up in the Principality of Monaco before moving to Paris, to study, and then to New York City. Famous in her own country, she likes big cities to feel free, unlimited and anonymous, and for the amazing resources and international openness. She also happens to be one of the few artists who can excel in various disciplines: painting (symbolic, abstract, figurative) and sculpture (welding, bronze). Her work has been printed and shown in galleries as well as the Shanghai World Expo and at the United Nations. Edward Roth rethinks the boundaries between high art and fashion, challenging a world of imitation with a new vision of originality and focus on the feminine spirit, intelligence, and taste of the leading women of the city, always looking toward the future. Edward Roth is not just a statement on high quality, a sign of remarkable vision, it’s a revolution in couture. Amber Arbucci is a renowned fashion model, wildlife photographer/artist, and adventurer. Originally from Florida, she is now based in Los Angeles and travels a lot. Amber’s photography is seen in galleries worldwide published in numerous iconic magazines, displayed at Art Basel, and for “The Million Dollar Decorator” tv series (Bravo Network). “My goal, when taking a photograph, is to take MY AUDIENCE on A journey with me, and to make reality feel like fantasy”. His work examines the perplexities of grand industry against the trials of the poor and hungry. This paradox Max strives to represent uses iconic industrialist symbols of present and popular culture and compares them to the “train wreck” of modern society. His sarcasm is present in the bright happy colors and clean delicate lines that illuminate his art. Max’s development as an artist began through the process of self­ education. PHOTOGRAPHY & FILM : JENIFER MASSAUX. Jennifer Massaux is a Belgian photographer and filmmaker based in New York City. Drawing inspiration from her love of story and experience as a fashion model, her work explores the depths of the sensual and sometimes surreal. Whereas she’s fairly new to the scene, Jennifer has already begun to make her mark, collaborating with the likes of Madonna, Vanity Fair, and other equally inspiring clients in both commercial and fashion.